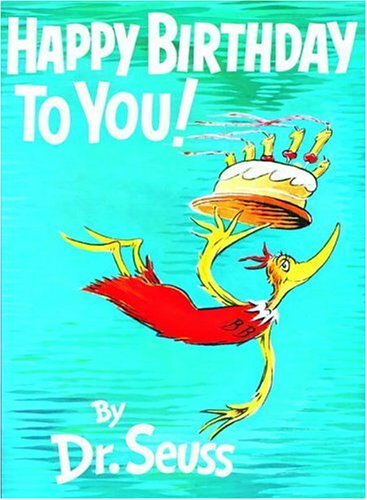 If he were still alive, Theodor Seuss Geisel, better known as Dr. Seuss, would be celebrating his 110th birthday today. But even though he died in 1991 at the age of 86, his birthday is still celebrated as the National Education Association’s Read Across America Day. That’s because Dr. Seuss wrote and illustrated more than 40 children’s books, including Green Eggs and Ham, Horton Hears a Who, How the Grinch Stole Christmas and, of course, the Cat in the Hat. I like to celebrate his birthday for an entirely different reason. His first children’s book, And To Think I Saw It on Mulberry Street, was rejected more than 20 times before it was finally accepted for publication. That fact that even Dr. Seuss didn’t immediately find success is a reminder that rejection isn’t failure. And that reminder always makes me smile. Posted on March 2, 2014, in Family, My life, perspective and tagged 365 reasons to smile, chidren, children's books, Dr. Suess, failure, persistence, smiles, success, Thoughts. Bookmark the permalink. 20 Comments.